Celebrate traditional and modern Korean culture. Discover this Asian country’s lifestyle through music, garden tours and food sampling. One of the groups scheduled to perform is Penn Sori, an a cappella singing group of Penn students pictured here at the 2015 event. 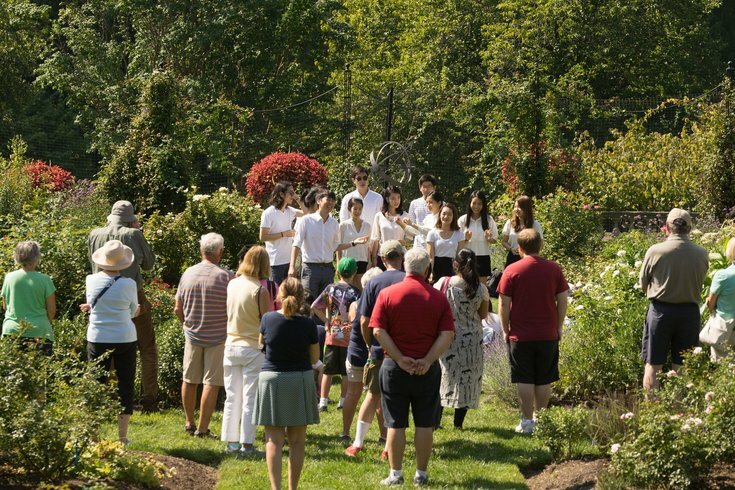 Morris Arboretum, near Chestnut Hill, will celebrate traditional and modern Korean culture on Saturday, Sept. 30. The Korean Harvest Festival, which runs from 11 a.m. to 3 p.m., will feature music, complimentary food and tours. At 11:30 a.m. and 2 p.m., guides will lead visitors on a tour of the Korean plants in the Arboretum’s 92-acre botanical collection. Penn DuRe, a drum troupe, will perform at 11:30 a.m. and 1:30 p.m. At noon and 2 p.m., Penn Sori, an a cappella singing group, will perform. Festival activities are included with Arboretum admission, which is $9-$17 per person.